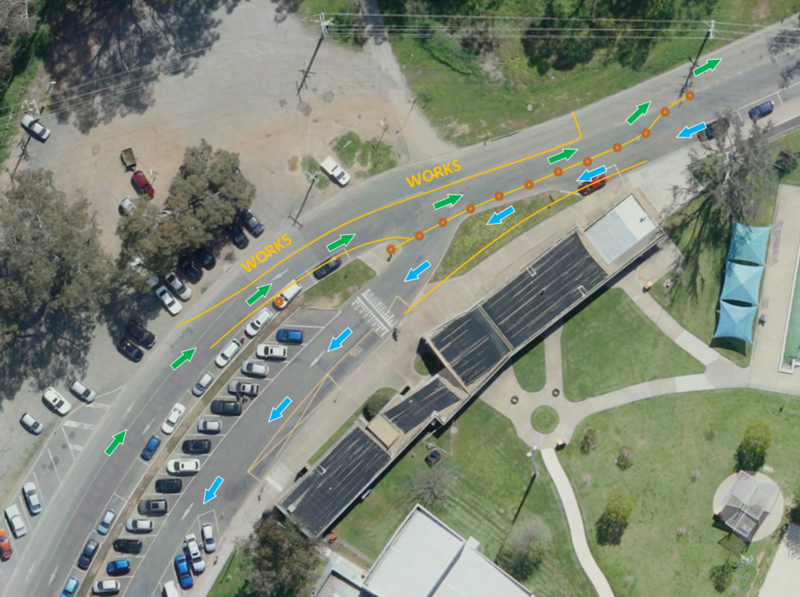 Changed Traffic Management Conditions - Car Park works - Aquamoves – Indoor and outdoor pools, fitness facilities and programs in Shepparton, Victoria. The current works due to finish by 4.30pm on Thursday 6 August will need to be extended until 4.30pm on Friday 7 August. Apologies for further inconvenience. Traffic management personnel will be directing traffic from 7.30am – 4.30pm each day. Until after Friday 7 August, if you are parking in the parallel bays please park facing the same way as the temporary one way traffic. Although this is the opposite direction to normal parking, it is safer for patrons and pedestrians if cars park facing the same way that traffic is heading (north). The parking direction will return to normal once the traffic changes are no longer in place. We apologise for any inconvenience that these changes may cause and thank you for your cooperation and understanding.